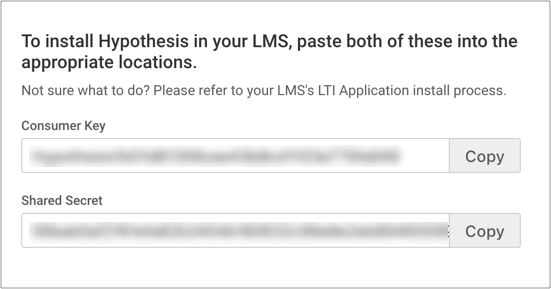 This guide provides instructions for installing our LMS app in an individual Canvas course site. If you are a Canvas admin and would like to install the app at the Account or Sub-Account level, please see our Canvas Administrator guide. We also have guides for those who wish to use our app in Sakai, Moodle, Blackboard, and D2L. 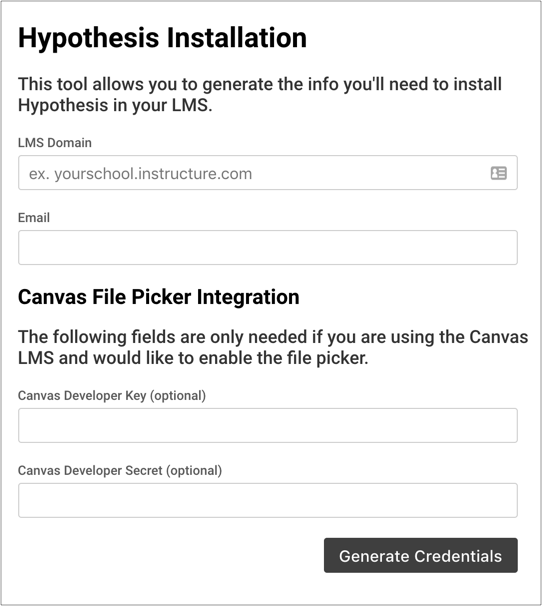 If you would like to use files that you have uploaded to your Canvas course site with the app, you will need to provide a Canvas Developer Key and Canvas Developer Secret. A Canvas admin from your school should be able to provide this information. 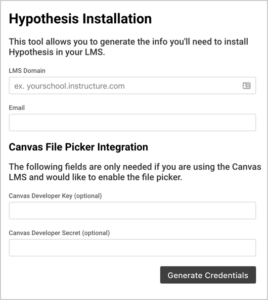 You can direct your Canvas admin to our help article on creating Canvas Developer Credentials for the Hypothesis LMS App. A window with configuration options will pop up. 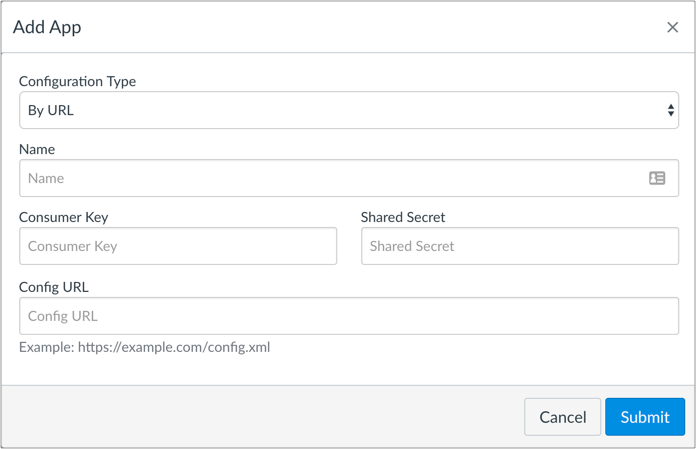 For the Consumer Key and Shared Secret fields, enter the credentials you generated in Part 1— Make sure to put each of these codes in the correct field, and that you don’t copy any extra spaces or characters!